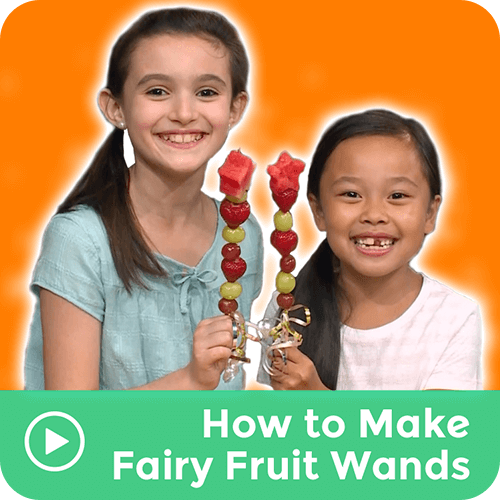 Learn how to make a fairy wand using fruit, a skewer, ribbon, and a star cookie cutter to make a star out of fruit for the top of the wand. Now it's imagination time - I wish . . .